I've indeed made my long overdue return from my mayhem. In all honesty I never believed I'd return, I've overcome struggles within my personal life and I can finally say that I'm at a point in my life where I am content with the direction it is heading towards. If I am being completely open I lost my passion for writing within the midst of my personal troubles, however I think I am at place where I can now continue to write without forcing it. I am going to be reworking some of my old novels that I left behind, as well as releasing a variety of new works that I have come to focus on. Constructive criticism is appreciated massively on my Movellas - so please give me notice of any mistakes, or just what you liked/disliked about my writing. I also give constructive criticism; if you need any just comment below! mumbled "Sixth Form Is Taking Over My Life..."
Sixth form is literally taking over my life, from university applications, coursework, exam preparation, etc. Anyway, how is everyone? Any one want me to take a look at any recent work? Also, I'm going to try to do some writing over the next few weeks, I again for apologise for the delay in the upload of my novel Impure. I'm doing Social Psychology :) it's three modules of sociology and three modules of psychology. Going to try to go into working with teenagers and their mental health. Ooh, sounds good! We need more mental health specialists for teenagers, it's really important. For sure :D I'm really enjoying the course so far and I'm looking forward to more. mumbled "Just a quick update..."
So, yes I have been slightly...extremely inactive these past two weeks. Just explaining that this is due to a large amount of sixth form work, I feel as though it is literally going to swallow me up, yet what makes it worse is that I continue to procrastinate and now I am behind. I'm already crammed with uni work and it's only been 1 week so far :/ I haven't written anything but a few blog posts. Due to this I am not quite sure when I am hoping to release it, but I plan to get my essays done by tomorrow and hopefully then I can focus on finishing a few of the chapters to release it. Can't wait to read! :) But it's important to focus on school work, so take all the time you need. 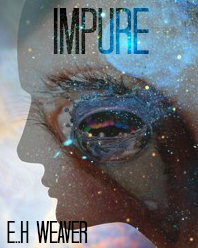 I've decided to release a section of my novel Impure as a teaser for the release! I would really appreciate any feedback or thoughts anybody may have, as it would be much appreciated! I'm currently working on a few chapters just so that the process of releasing it chapter by chapter isn't extremely delayed and so that it doesn't come to a complete halt - hopefully. 'Piercing shrieks bounced wall from wall, binding the helpless sorrows of those forgotten to linger in the deserted hallways. An endless labyrinth of bolted doorways that locked the fate of those diagnosed without sanity. Rustic, steel doorways jolted forwards and backwards as helpless souls charged at them attempting to regain their freedom, although each one knew it was pointless. Infinite hallways confirmed the uncertainty in the conspiracies that anyone would ever escape the institute. Emerging from the shadows of the infinite hallway a silhouette gradually morphed into the structure of a petite girl, with porcelain skin that once complimented the bone structure of her face, once lustrous, chestnut waves now neglected, straggly tatters. Salted tears streamed down the girl’s face contributing to the past pool of tears from other despairing individuals that have stained the floors with melancholy. Glistening, blood-shot, emerald green eyes glazed around the room showing emptiness and emotionless, confirming that the girl had withdrawn herself from the present into a time when she was once some what happy. Lugged down the hallway, whimpering as her legs lagged behind her, thumping against the tiled floor each time she was hurled up to be rebalanced. @[E.H. Weaver] Anytime. Hey, if you ever get some time to read my latest story BROTHERS- I would love to read your comment / review / feedback. Sorry if I worded that weirdly, I'm kind of in a rush as I've got to go out for a few hours. So I'm no expert with constructive criticism, obviously. So if anything I say that you don't agree with please just tell me, because of course you're widening my knowledge too! I've only read the first chapter so far but it is a fantastic start! The choice of wording and tone really gives off a Victorian Era which of course is an essential aspect in historical fiction. Personally, for me, within the first paragraph I feel as though there are too many commas. This could just be my opinion though and for others it might flow. I hope you didn't mind me pointing this out to you, perhaps you could try to use a variety of punctuation rather than commas or breaking down sentences more. Although, as I have pointed out this could just be my personal preference. Overall, I really enjoyed reading the first paragraph and when I have more time I will try to return to continue from a fantastic start to what I'm sure will continue to be fantastic.